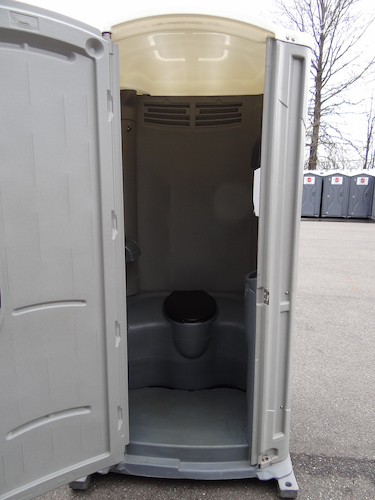 Our VIP porta potties are equipped with a working sink making for a comfortable bathroom atmosphere. 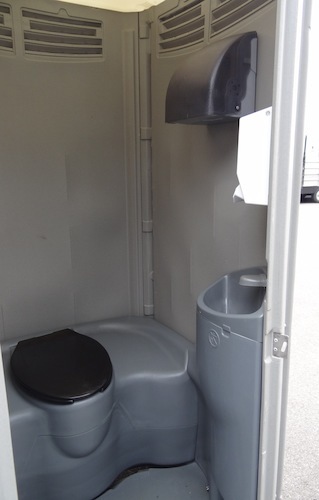 The toilet area offers both a toilet and urinal and the sink is operated with a foot pump to create a sanitary, hands-free restroom environment. Each unit comes standard with hand soap, paper towel dispensers to maximize space. The large holding tank collects waste so it is hidden from view and translucent roof allows for maximum light and visibility and superior ventilation. Superior Portables is pleased to have been involved in a LeBron James Foundation project that honored one young student who worked hard to meet her academic goals. Standard Tank Vol: 70 gal. 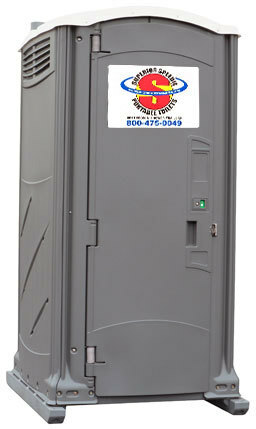 Floor Space: 41" x 21"
Door Opening: 24" x 75"
Get a quote for a Superior Portable Services Restroom or Shower Trailer. Simply fill out the request form below and one of our representatives will respond to you within one business day. If you are interested in pricing on multiple products, just drop a few lines into the comment field so we can better understand your needs.